white, longhaired female cat named Josephine. It is believed Josephine carried the MINK gene. female was born who Ann Baker called Buckwheat. It is believed Buckwheat carried the Sepia gene. 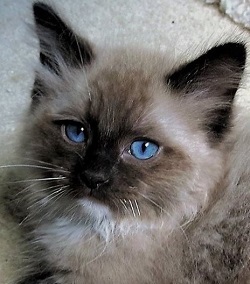 The MINK Ragdoll is from the original cats used by Ann Baker to establish the Ragdoll cat. 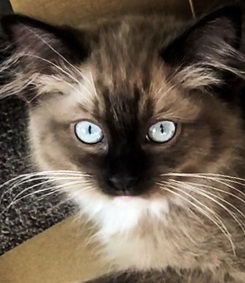 pointed Ragdoll of the same basic colour. This gene affects all of the colours available in Ragdolls. MINK Ragdolls are available in all of the same colours and patterns as the pointed Ragdolls. or a Cashmere Rabbit's fur, hence the name MINK Ragdoll. 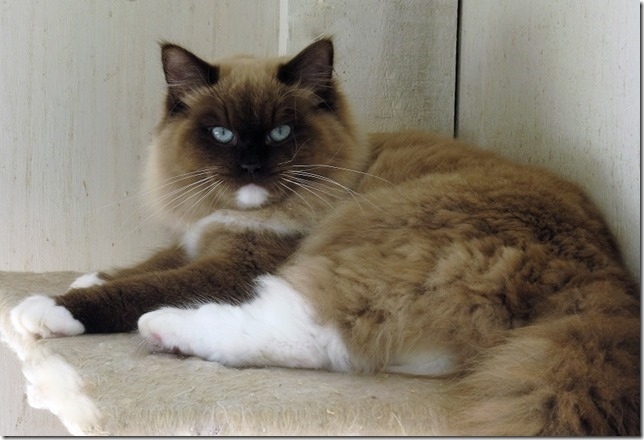 formed her own registry, IRCA, Ann had a wide assortment of Ragdolls, including the MINK. from other registries as "Foundation". MINK Ragdolls are now more widely accepted. produce pointeds. 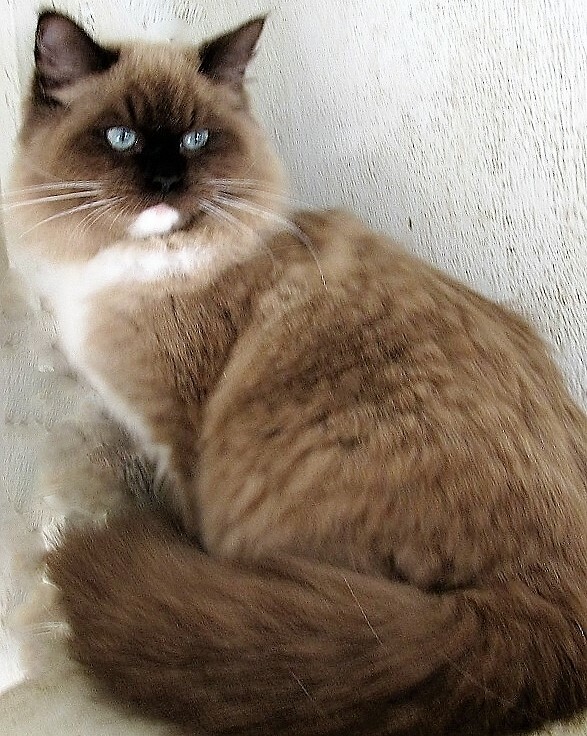 If a MINK Ragdoll is bred to another MINK Ragdoll a sepia can be produced. 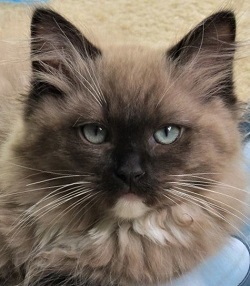 of the sepia gene paired with a single copy of the sepia pointing gene are MINK Ragdolls. 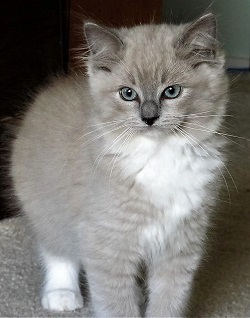 MINK pointed kittens when mated to a normal colour pointed Ragdoll.